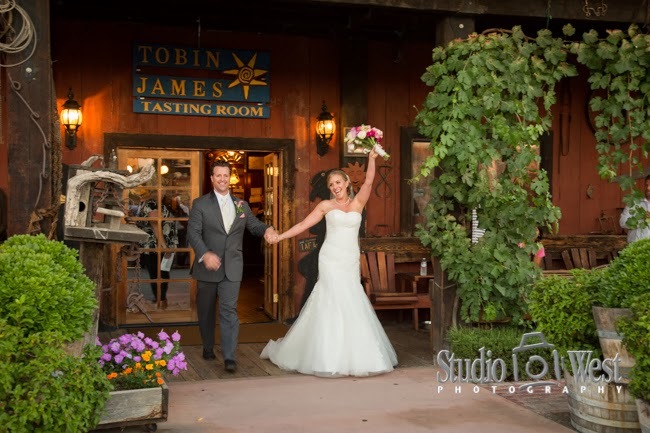 Rocky and Allyson were married at the Tobin James Winery in Paso Robles Wine Country, just off highway 64 East. 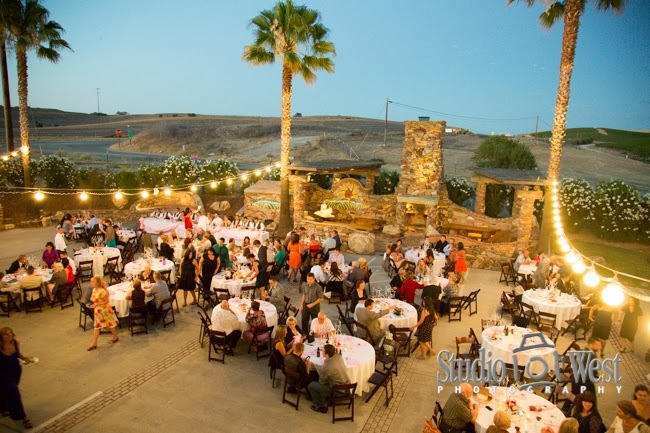 After the ceremony we took the bride and groom to this secluded spot near the tasting room. The fading sunlight gives it a wonderful warm glow. 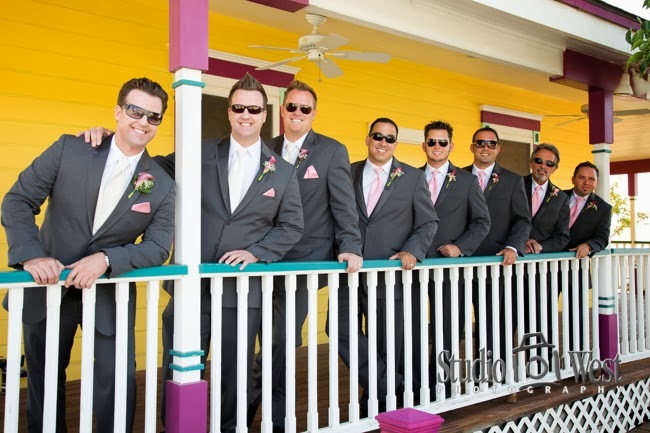 Rocky, his twin brother, and the rest of the groomsmen got ready in the brightly colored guest house. The bride, Allyson (who works for Tobin James), requested this shot. 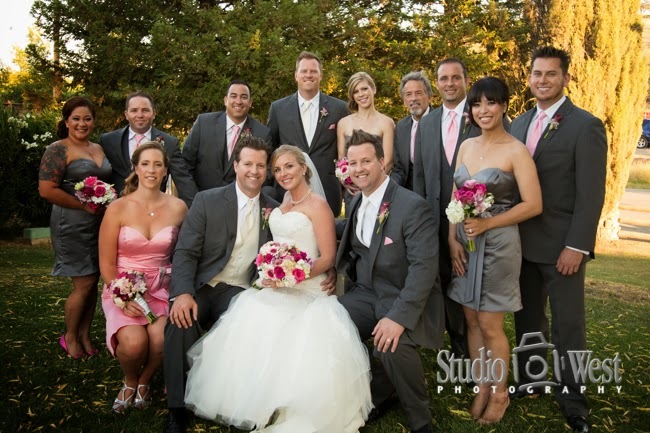 She wanted a full wedding party shot before the wedding, but didn't want the groom to see her. 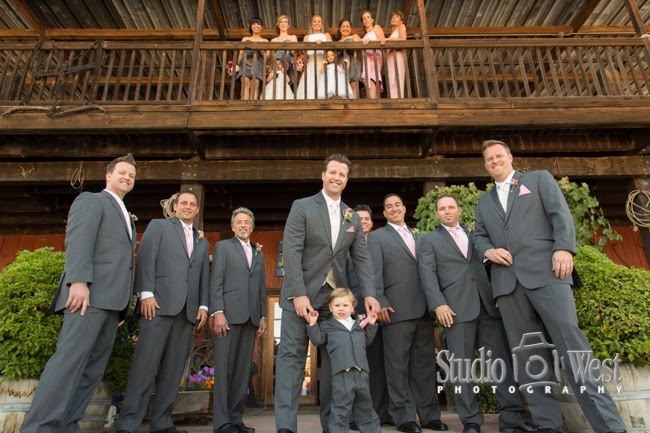 The guys were forbiden to look up, while the girls made their appearance on the balcony. The photographer laying on the ground to get the shot – all in a days work! 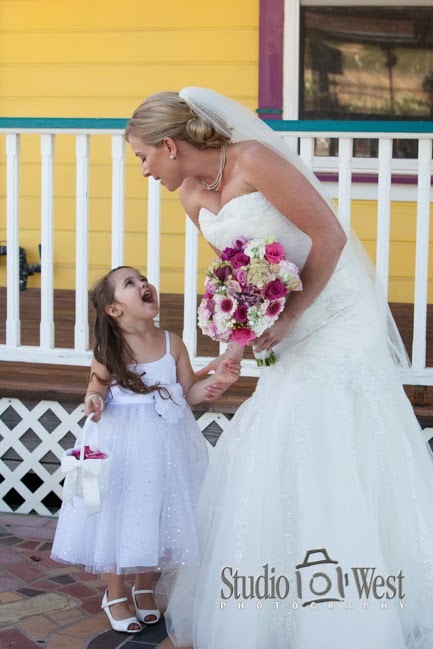 Everybody loves seeing little kids in the wedding party. 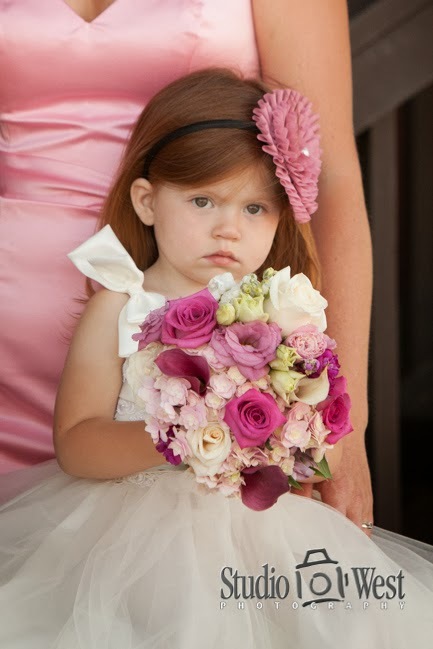 Love this one of the little flower girl holding her mom's bouquet. 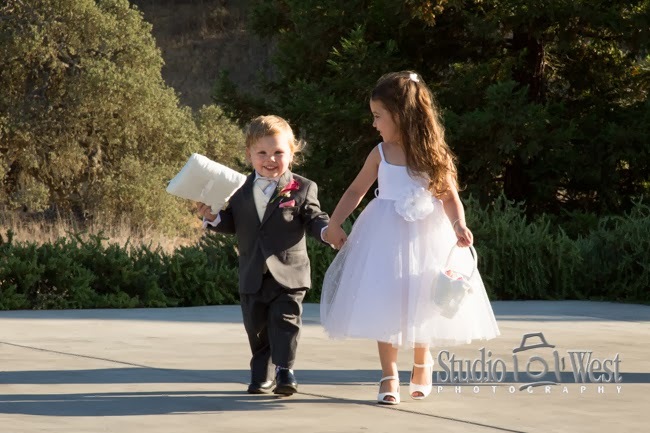 How can you not help but smile when you see this precious couple coming down the isle. 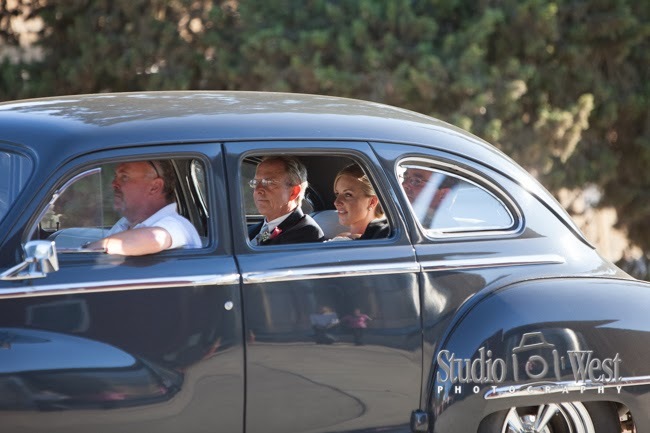 The bride arriving with her father in a 1955 De Soto. 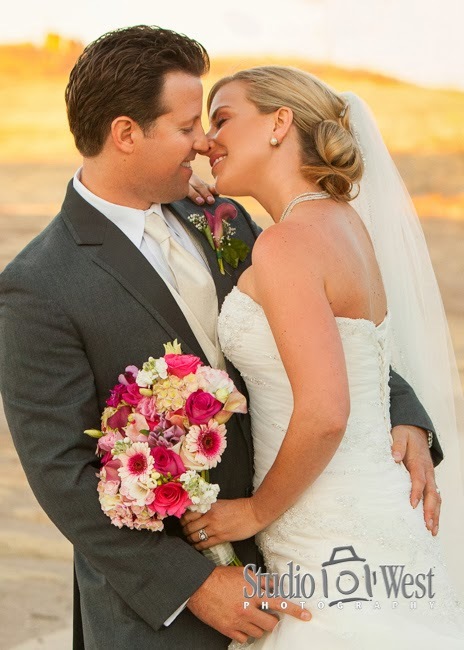 The ceremony, which was performed by their long time pastor, was very personal, humorous, and touching. 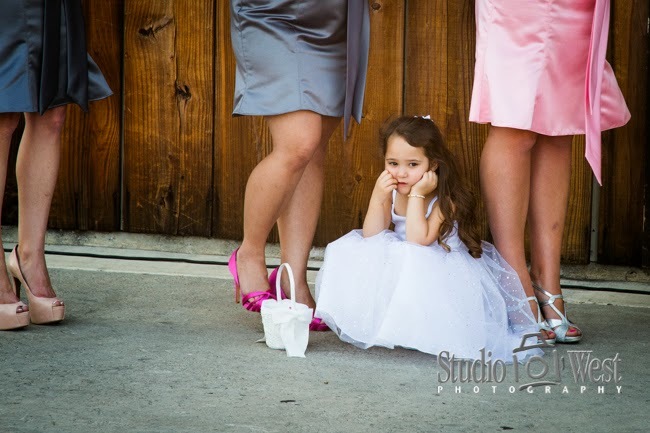 I wonder if she is thinking about when she can wear big girl shoes like that. Surrounded by their best friends. Private time to get in a quick squeeze. 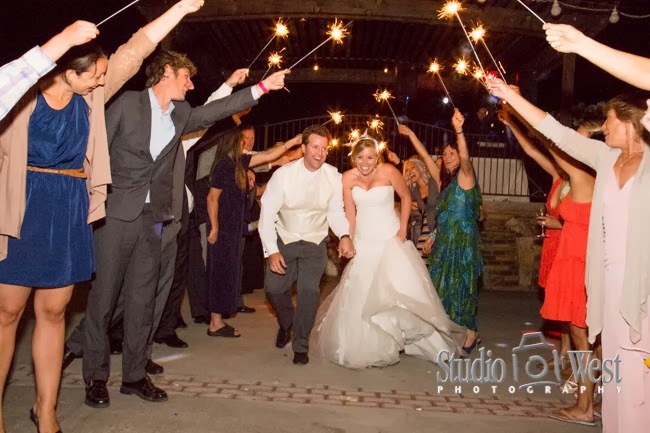 The grand entrance to the reception. 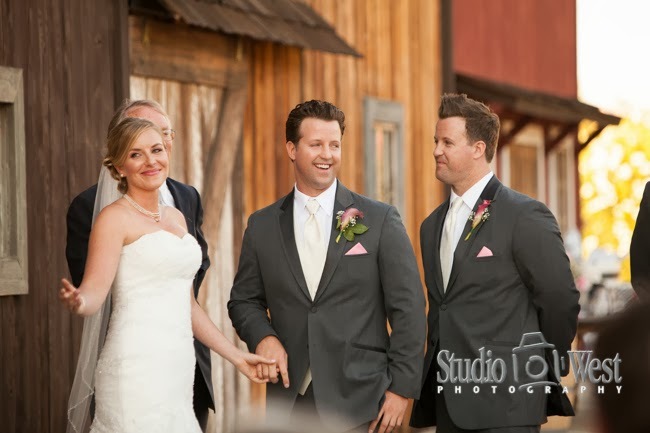 Tobin James offers a great patio area that boasts ornate stonework features. 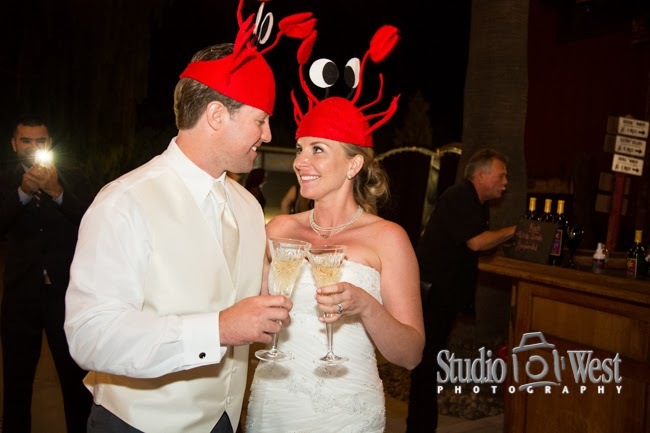 Rocky and Allyson REALLY like lobsters. 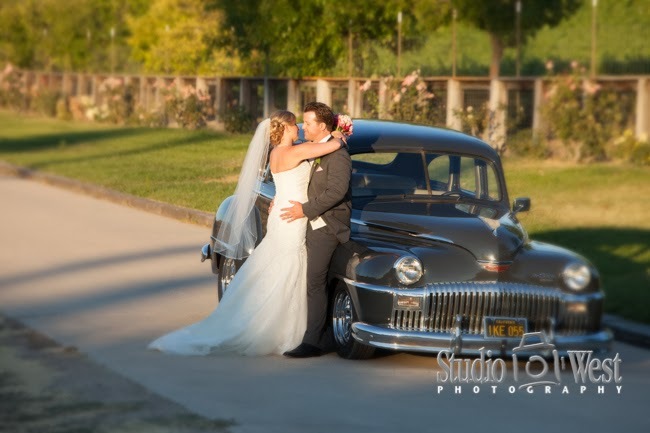 To see more highlights of this wonderful Tobin James, Paso Robles wine country wedding check out the short video below.